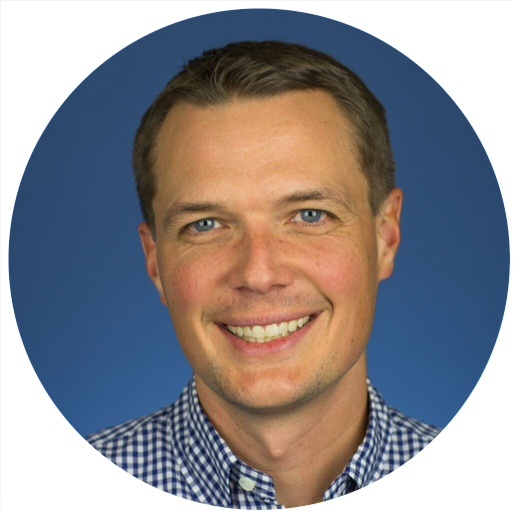 Finn Faldi is President of TeamViewer Americas, responsible for North, South and Central Americas, including all marketing, sales, channel partnerships, customer support, human resources and operations. He is a proven leader, entrepreneur and mentor in the technology industry and joined TeamViewer in January 2018. Previously, Faldi was SVP, Partner Revenue Officer at Lifelock, a consumer identity-theft protection company that was acquired by Symantec in February 2017 for $2.3 Billion. Before that, Faldi was Chief Operating Officer for Datalogix, a data measurement, targeting and analytics company that was acquired by Oracle for $1.1 Billion. Prior to that, Faldi was Vice President- Global Broadband, Mobile, Strategic and Search Affiliate Partnerships & Operations at Yahoo. He continues to be an active investor and advisor to several early stage and growth companies. Finn holds an Bachelor of Science degree in finance and management from the University of Pennsylvania’s Wharton business school and an MBA from Pepperdine University. If It Seems Even A Little Bit Fishy, It’s Probably Phishy. Simple Tips To Avoid Phishing And Phone Scams. As information and network security tools become more advanced, many bad actors find that it’s easier to trick humans than to keep modifying their exploit kits so they can bypass or undermine cybersecurity software. President of TeamViewer Americas Finn Faldi provides tips and insights on how to avoid common phishing and phone scams. Dario Forte is founder and CEO of DFLabs and a security incident response expert who has worked in Italian law enforcement and intelligence, and collaborated with US agencies on fraud and cybercrime investigations. He has co-authored several ISO Standards on incident investigation, digital forensic risk, and security incident management and response. He is also an Adjunct Professor at the University of Milan. Oren J. Falkowitz is a co-founder and CEO of Area 1 Security, a cloud-based cybersecurity firm that stops phishing. Prior to joining the private sector, he served at the National Security Agency and United States Cyber Command. Neill Feather is the president of SiteLock, the leading provider of website security solutions for business, where he leads the company's approach to 360-degree domain security by providing industry analysis and utilizing rapidly evolving data sets related to security and hacking trends. Neill has over 20 years of experience in the technology and systems industry, notably providing technology solutions and industry insights for Johnson & Johnson prior to joining SiteLock. He holds B.S. degrees in Statistics & Information Systems and International Business from the Pennsylvania State University, and an MBA from the University of Pennsylvania's Wharton School of Business. The threat of cybercrime continues to grow, and small and medium-sized businesses (SMBs) should be especially concerned as they lack the IT budget and resources that larger enterprises have and are thus more likely to struggle after suffering a breach. For those guilty of letting their website security strategies sit on the back burner, SiteLock president Neill Feather suggests that it may be time to consider a strategy refresh. Manu is currently focused on crowdfunding Hushmesh, a Public Benefit Corporation dedicated to solving "the digital privacy of the people, by the people, for the people." Before founding Hushmesh, Manu led Perfect Sense's marketing and business strategy for Brightspot, the company's Digital Experience Platform. Earlier at Perfect Sense, he helped secure new digital product and platform business with The Coca-Cola Company, U.S. News, Univision, Hanley Wood and more. Prior to Perfect Sense, Manu joined EMC to help spearhead the company’s entry in the consumer space. He launched EMC LifeLine, a new consumer-friendly operating system for Network Attached Storage devices, and brought it to market with partners like Intel and Iomega. He worked closely with Mozy, Iomega and EMC’s CTO Office to craft innovative storage solutions for consumers. In 2008, he won the EMC Innovation Showcase Award for Constellation Computing, an aptly named and trademarked distributed approach to Cloud computing. Prior to EMC, Manu led the Safety, Security and Privacy initiatives at AOL and oversaw over 100 products, including AOL Parental Control and AOL Security Center. He personally led AOL PassCode and AOL Key, two subscription-based products intended to bring two-factor authentication to consumers. Prior to that, he led AOL’s Home Networking and Digital Home technology initiatives, which evolved into a strategic alliance with Sony. Prior to AOL, Manu helped Alcatel bring its WebTouch consumer screenphone business to the US. In his earlier years with the company, Manu developed multimedia broadband devices for endoscopic surgeons as a member of its Corporate Research Center in Strasbourg, France. Manu holds two Masters in Electrical Engineering from the University of Louvain, Belgium. He is fluent in English and French. On the Internet, nobody knows you're a dog! Also, nobody could know for sure that you’re NOT a dog. On the Internet, nobody knows you're a dog! Also, nobody could know for sure that you’re NOT a dog. In this podcast episode, we are going to talk about dogs on the Internet and how difficult it is to distinguish them from humans. We are talking about dogs pretending to be humans, and being so good at it that no one can tell. This is a serious problem, and we all need to be aware of it. Mikhael Felker’s sector experience includes defense, healthcare, nonprofit/education and technology/Internet, seeing firsthand the variance in information security culture and program maturity. Felker received his M.S. in information security policy and management from Carnegie Mellon University and B.S. in computer science from UCLA. His written work of 50+ publications has been featured in Forbes, ACM, IEEE Security & Privacy, ISACA Journal, ISSA Journal, case studies and a number of online magazines. Many are lured by the fascinating and lucrative field of cybersecurity, but the prerequisites for entry-level positions are often daunting. Learn from expert Mikhael Felker how to gain experience that will position you for a successful career in InfoSec. 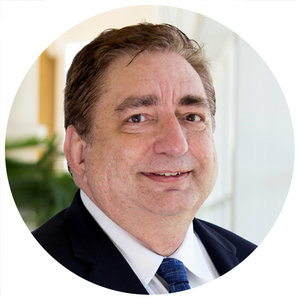 Mike Fitzmaurice is the Vice President of Workflow Technology for Nintex, the world leader in workflow and content automation, and is its subject matter expert and chief spokesperson for workflow, business transformation, and technology matters. His career has included leadership roles in R&D, planning, consulting, and IT; it currently involves extensive contact with customers and solution creators worldwide. Fitzmaurice’s areas of expertise include process automation, integration, collaboration, and citizen development. The GDPR is a de facto mandate for every company to invest in process automation software. How can business workflows help with privacy compliance? Read to learn more. It happens all the time: Employees, departments or even third-party entities request access to business applications so they can perform important tasks. How much access should they be granted - and to which systems and data. Expert Mike Fitzmaurice sheds some light on enterprise application workflow best practices. Michael Fimin is the CEO and co-founder of Netwrix, provider of a visibility platform for data security and risk mitigation that enables control over changes, configurations and access in hybrid cloud IT environments, identifies the three worst hacks of the year and the critical lessons businesses can learn from each of them. Looking Back at 2016 Data Breaches. What’s the Lesson? The number of data breaches tracked in 2016 in the U.S. reached an all-time record of 1,093 incidents and exposed more than 36 million records. The situation in 2017 is not getting any better, as the wave of data breaches continues to roll on. As cyber threats evolve, we look back at some of the worst breaches of 2016 and see what we can learn from them to avoid making the same mistakes in future. Gene Fredriksen, CISO for PSCU, has over 25 years of IT experience, with the last 20 focused on Information Security. Fredriksen held the positions of Global CISO for Tyco International, Principal Consultant for Security and Risk Management Strategies for Burton Group, Vice President of Technology Risk Management and Chief Security Officer for Raymond James Financial, headquartered in St. Petersburg, Florida, and Information Security Manager for American Family Insurance. He served as the Chair of the Security and Risk Assessment Steering Committee for BITS, as well as serving on the R&D committee for the Financial Services Sector Steering Committee of the Department of Homeland Security. He is a member of the SC Magazine Editorial Advisory Board and attended the FBI Citizens Academy. Can You Make My Cybersecurity Super Hero Dream Team? Putting together a cybersecurity workforce is similar to assembling a Super Hero Dream Team, explains Gene Fredriksen, CISO for PSCU, which services more than 800 credit unions. In this An InfoSec Life piece, Gene explains how he harks back to his love for superhero comic books in coming up with his cybersecurity dream team. Cybersecurity? What About Your People? Their People? People? Psychology skills are supplanting technical skills as a critical hacker skill. "A culture of security is in place when rhetoric is replaced with action," says Gene Fredriksen CISM, CRISC and VP & CISO, PSCU. 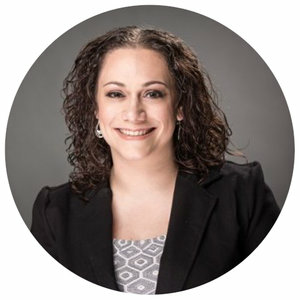 Debra J. Farber is an executive data privacy and security consultant with 15 years of data strategy, operations, public policy, training, product, and compliance experience across industries and frameworks. She is CEO and Principal Consultant at Farber Strategies Inc., a data protection consulting firm; Co-founder of Orinoco.io, a SaaS-based workflow automation platform built specifically for privacy consultants; and Co-founder of the nonprofit project Women in Security and Privacy (WISP). She is also a frequent speaker at conferences and events. Debra is an involved member of the privacy and InfoSec communities and serves on several industry, government, and startup advisory boards. 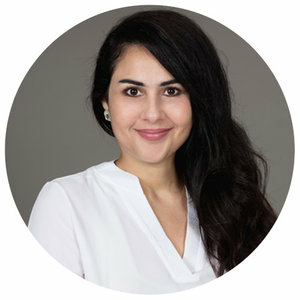 She is a member of the IAPP CIPT Exam Development Advisory Board, IEEE Data Privacy Process Standards Working Group, California Cyber Security Task Force, and the Advisory Board for privacy technology startup, BigID. In addition, she serves as Editorial Board Member for Cyber Security: A Peer-Reviewed Journal. Most recently, Debra served as Sr. Director, Global Public Policy (Privacy & Security) at Visa where she oversaw a portfolio of issues, including data privacy, cybercrime, cybersecurity, product security, risk, authentication, IoT, blockchain, and payment risk. In this role, she represented Visa on the World Economic Forum’s Advancing Cyber Resilience Working Group, which published a toolkit for global boards of directors. Prior to her role at Visa, Debra held privacy and security leadership roles at IBM, American Express, TrustArc, Numera, IANS, and The Advisory Board Company. She has earned several designations, including the CISSP-ISSMP, CIPP/US/G, CIPT, CIPM, and FIP. Debra holds a BA in English from Binghamton University and a JD from Brooklyn Law School. She’s currently completing her Executive Certificate of Business Excellence for UC Berkeley’s Haas School of Business. Arleena Faith studies Software Engineering at the Harvard University Extension School, Harvard University, Cambridge, Massachusetts. Twice NASA intern and graduate from the NASA Community College Aerospace Scholar (NCCAS) workshop (Fall 2014), Arleena is looking to make a difference in the world of Software Security. She started her cyber-journey as a Junior Web Developer for a small company in Manhattan Beach in late 2009. In 2013, Arleena became CompTIA Security+ certified and in January 2017, she earned a Professional CyberSecurity Certificate diploma after completing a 4-course, graduate program at Harvard University. Presently, Arleena Faith leads a Software Security Initiative (SSI) within IPG Mediabrands, an agency owned by a giant of the Advertisement Industry: The Interpublic Group (IPG). She has been an active member of the ISSA and OWASP for several years, while simultaneously engaging in many activities related to Security and volunteering yearly as a Linux Proctor for the LinuxFest class at the Southern California Linux Expo (SCALE). In this special episode of An InfoSec Life, Sean Martin has the pleasure of speaking with Arleena Faith, a software security professional, an application security advocate, and active member of the ISSA and OWASP communities. During their chat, Arleena tells us about her journey into cybersecurity, touching on some of the key milestones she reached, the challenges she faced, the associations and individuals that gave her hope and support along the way, and a view into her current role. A truly gifted and inspirational individual whose goal is to raise awareness for cybersecurity, Arleena is on a mission to raise the bar when it comes to software security, helping organizations recognize the importance and value of a secure software development lifecycle. We hope you enjoy listening to her story as much as Sean enjoyed capturing it. One of the fascinating things about Cybersecurity is that it combines computer science and human psychology. Cybersecurity encompasses many disciplines, some of which are well understood and studied, others newly growing fields--or even yet for discovery. Identity theft is on the rise and the latest data breach from Equifax could bring an “avalanche” of cyber crime with losses of billions of dollars. These are times when the individual response of each one of us could urge our government to stop the growing crisis, and to change flawed credit application processes that lie at the core of it. The five steps described in this article are useful to those affected and whose privacy might be breached. A personal story highlights that identity theft is more common than people expect.